How much is Colby Covington Worth? 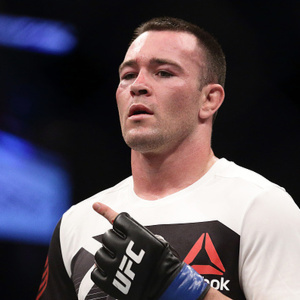 Colby Covington net worth: Colby Covington is an American professional mixed martial artist who has a net worth of $2 million. Colby Covington was born in Clovis, California in February 1988. He is a welterweight who was an All-American at Oregon State University and won the Pac-10 Conference Championship twice and the NJCAA 165 lb. National Championship. Covington made his professional MMA debut in February 2012 defeating Chris Ensley. He defeated David Hayes in April 2012, Jason Jackson in June 2012, Jose Caceres in October 2013, and Jay Ellis in 2014. Colby Covington made his UFC debut with a win over Anying Wang in August 2014. He beat Wagner Silva in November 2014 and Mike Pyle in 2015. He suffered his first loss to Warlley Alves in December 2015. Covington defeated Jonathan Meunier in June 2016, Max Griffin in August 2016, Bryan Barberena in December 2016, Dong Hyun Kim in June 2017, and Demian Maia in October 2017 to bring his record to 13-1. As a professional wrestler he has competed for Impact Wrestling and WrestlePro.